Why kind of weed is this and how can you permanently get rid of it? This is a weed that is in the Spurge family. Called Three Seed Mercury or Acalypha virginica. 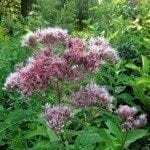 Here is a link with natural ways to kill invasive weeds.